Eseye has announced that the eWATERpay IoT deployment, using its global M2M cellular connectivity, has won Outstanding Mobile Contribution to the UN Sustainable Development Goals in this year’s Global Mobile Awards (GLOMOs). Presented at the GSMA Mobile World Congress in Barcelona by hosts TV stars Suzi Perry and Ortis Deley, the GLOMOs showcase those companies and individuals that are driving innovation in the rapidly evolving mobile industry. 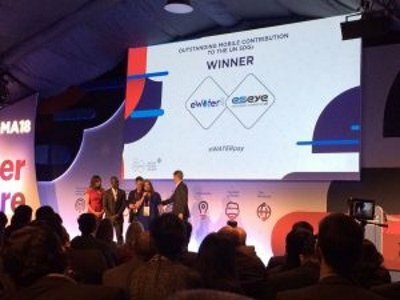 In winning the award, eWATERpay, Eseye and Selcom were recognised for the impact of eWATERpay’s low cost, proven IoT solution that uses solar pumped, piped networks and mobile technology to provide sustainable access to clean water in some of the world’s poorest communities. The AWS Cloud integrated Eseye AnyNet SIM and cellular utilised by eWATERpay, in often remote, off-grid locations, means users can purchase credit that enables them to dispense water at eWATER distribution points. The taps, connected by cellular to the internet and monitored remotely, provide live data such as flow rates and usage, and maintenance status to ensure they are repaired promptly. The project has so far provided 13,000 people with access to clean water and this is forecast to increase by up to 10 million people over the next five years through the installation of 100,000 more taps. Each year, the Outstanding Mobile Contribution to the UN Sustainable Development Goals is presented to a project that develops visionary and pioneering technology that highlights the very best examples of mobile connectivity in supporting and contributing to the UN’s 17 Sustainable Development Goals (SDGs). The SDGs build on the success of the Millennium Development Goals (MDGs) and aim to go further to end all forms of poverty. The recognition by the GSMA demonstrates how IoT, when harnessed in highly innovative projects, can be used to change lives for the better. For the full Eseye and eWATER case study please: click here. For the complete list of winners please: click here. 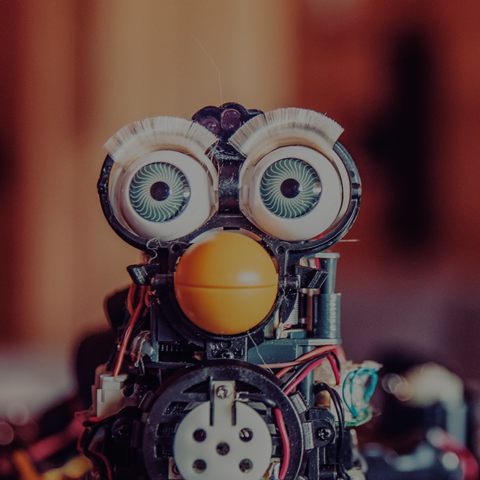 IoT @Mobile World Congress – Are all the IoT growth forecasts wrong?